Background: Recently, PRP are being used to treat acute and chronic injuries in an attempt to jump start healing due to being too much growth factor source. However, the homologous platelet rich plasma has been investigated in several studies to treat chronic wounds. In this study, we used H-PRP injection for tendon, muscle and ligament injuries and degenerative joint disorders. Our objective was to use homologous PRP for the treatment of tendon, muscle and ligament injuries and degenerative joint disorders and investigate the effects of it. Methods: We applied 164 injection of homolog PRP to 109 patients. We repeated the injection in 17 patients. The 139 injection were made intra-articulacy patients and 25 injections were applied to the soft tissue. We followed all of the patients for one year. Results: No severe adverse events or complications related to the injections were observed during the treatment or follow-up period. All of the patients were very satisfied with the treatment and had reported pain relief and increase of their life standards subjectively. Second session was performed to the seventeen patients after six months. Sixteen of them had resumed knee pain and one of them had temporomandibular joint pain. However, we also observed no side effects with patient satisfaction. Conclusion: This study showed Homologous PRP could be safely used without any adverse effects to treat the patients of tendon, muscle and ligament injuries and degenerative joint disorders with high patient satisfaction. Recently, the use of autologous platelet rich plasma is increasing in an effort to facilitate healing in a variety of clinical disorders. Initially platelets were thought to act exclusively with clotting. However, the better understanding of the biology of wound healing suggests that the platelets play a main role on roles in fundamental processes, including inflammation, angiogenesis, cell migration, and metabolism, in pathological conditions. PRP is not only crucial in the repair of damaged structures, but also in creating biological models that encourage tissue regeneration by improving the metabolic functions of those structures. Many bioactive proteins released by platelets responsible for attracting macrophages, mesenchymal stem cells, and osteoblasts which not only promotes removal of necrotic tissue, but also enhances tissue regeneration and healing [1,2]. The platelet-derived growth factors (PDGFs), transforming growth factors (TGFs), vascular endothelial growth factor (VEGF), epidermal growth factor (EGF) the most known growth factors. PDGFs stimulate the replication of mesenchymal stem cells, osteoblasts, endothelial cells and fibroblasts. They also have chemotactic effects on monocytes, neutrophils and fibroblasts, mesenchymal stem cells and osteoblasts. In all phases of wound healing (angiogenesis, fibrous tissue formation and reepithelization) there are strong mitogenic effects on fibroblast and smooth muscle cells . TGFs, particularly TGF beta-1 and beta-2, stimulate the replication of fibroblasts, smooth muscle cells and osteoblasts and matrix production, they also guide cartilage or bone differentiation as they are known as morphogenes . VEGF is important for endothelial cell stimulation and angiogenesis while EGF is mitogenic for fibroblast, endothelial cells and keratinocytes . Platelet-derived angiogenesis factor, platelet factor 4, interleukin-1, epithelial-cell growth factor, insulin-like growth factor, osteocalcin, osteonectin fibrinogen, vitronectin, fibronectin, and thrombospondin-1 are other growth factors known to be released from the platelets . The PRPs derived from other donations are routinely used for intravenous transfusion to patients with neoplastic or gastrointestinal disease or diseases of the blood-forming organs in an effort to prevent or treat bleeding due to thrombocytopenia . It is also known that the administration of ABO-specific platelets is not strictly required because platelet concentrates contain few RBCs. Additionally, platelets made from Rh-positive donors are often transfused to Rh-negative patients. Therefore, the uncomplicated attainability of homologous platelet suspensions in addition to the high concentration of platelets within small (50-70 cc) suspensions and the very low antigenic potential suggested to us the use of homologous PRP for tissue repair. In this study, we performed homologous PRP obtained from whole blood donors to treat tendon, muscle and ligament injuries and degenerative joint disorders and observed the results. The study was approved by our Institutional Review Board with the number of 14567952-0507. A statement to the effect that all subjects has been informed, signed consent to participate in the study. The injection was performed to the patients who accepted the procedure and signed the constant form. Platelet concentrates are produced from whole blood using the buffy coat method of preparation as described in the guidelines . The patients with a history of chronic pain with no benefit from previous analgesic treatments or physiotherapy and the presence of grade 3-4 osteoarthritis according to the Ahlbach’s classification system based on AP weight bearing and lateral views of knees were included in this study. 7 of them had hypertension and 3 had diabetes mellitus. 6 patients were smoker. The patients who had anterior disc dislocation with reduction indicated via magnetic resonance imaging [MRI] causing functional disability and pain and who had not responded to conservative treatment were included in this study. The patients with chronic epicondylar elbow pain who had failed during previous nonsurgical treatments including all or combinations of physical therapy, splinting, nonsteroidal anti-inflammatory medication of lateral epicondylitis were included. The patients who had shoulder pain at least 3 months with no response to conservative treatments were included. The patients who had chronic Achilles tendinopathy with no contracture and who had failed previous nonsurgical treatments were also involved. In those patients there were no additional sysytemic disease and 2 patients were smoker. The patients with chronic lower back pain who had no neurological deficit and one or more lumbar discs with evidence of degeneration indicated via magnetic resonance imaging [MRI] were included too. 1 patient had hypertension and two of them were smoker. None of the patients were using anticoagulant medication (Table 1). Table 1: Clinical characteristics of the study population. We applied homolog PRP to 109 patients. 67 patients were male, 42 patients were female. 63 patients had knee pain, 12 patients had temporomandibular joint pain, 9 patients had shoulder pain, 7 patients had tennis elbow, 15 patients had lumbar pain, and 3 patients had pain on the Achilles tendon (Table 2). Table 2: The list of the patients. All injections were carried out in an outpatient setting. No ultrasound or X-ray guidance was employed in all cases. We applied 164 injection of homolog PRP to 109 patients. We repeated the injection in 16 patients. The 139 injection done to intra-articulary patients and 25 injections were applied to the soft tissue (Figures 1-4). Figure 1: The application of H- PRP to the shoulder. Figure 2: The application of H- PRP for tennis elbow. Figure 4: The application of H- PRP for lumbal pain. In the cases of articular injections, the 5 ml injection was performed at the affected knee with a classical approach to the upper pole of the patella. The 1cc homologous PRP is injected to the temporomandibular joints into the superior joint space, behind the condyle and beneath the zygoma with the patient open the mouth as wide as possible. 5 ml of PRP was injected under the posterolateral aspect of the acromion, directly into the sub acromial space. In the cases of tendon injuries and lumbal pains the homologous PRP is injected as 5 to 10 cc according to the patient's complaint. Injections were applied at the point where maximal pain was present. For tennis elbow, PRP has been injected into the common extensor as well as the insertions into bone. Injections for lumbal area were performed to the 1.5 cm laterally from the midline at the level of spinous process and facet joints blindly with the patient lying prone position. For Achilles tendon, PRP was injected into the Achilles tendon. All of the patients were followed for one year. Second sessions were performed to the seventeen patients after six months due to the resumption of their aches. Sixteen of them had resumed knee pain and one of them had temporomandibular joint pain (Figure 3). No severe adverse events or complications related to the injections were observed during the treatment or follow-up period. All of the patients had reported pain relief and very satisfied with the treatment (Figure 4). Many different methods can be used in the treatment of chronic pain of musculoskeletal system such as non-steroidal anti-inflammatory drugs, physical exercises, electrical stimulation, hydrotherapy, shockwave therapy . Nowadays, application of autologous PRP is also commonly used in sports medicine to treat injuries of the tendons, ligaments, and muscles [10-12]. In addition the efficacy of PRP for degenerative cartilage disorders has also been investigated in several studies [13-16]. In this study, we applied Homologous PRP derived from whole blood donations to treat both different soft tissue injuries (tendon, muscle and ligaments) and degenerative joint disorders (knee, shoulder, temporomandibular joints). No complications or adverse effects due to H-PRP injection were observed. After the treatment, all of the patients reported a significant reduction of pain at rest and movement. Additionally all of them reported a significant increase in the quality of their lives subjectively. In the literature, Crovetti et al. reported topical H-PRP application to treat chronic ulcers, including diabetes-related, venous ulcers and post-traumatic, neuropathic and vacuities related. They observed no adverse effects but faster promotion of granulation tissue and decreased pain in all cases . Ficarelli et al. used topical homologous platelet gel in a patient of chronic venous ulcer and reported complete healing . Greppi et al. used homologues platelet gel prepared with standard blood banking procedures to treat 11 hypermobile very elderly patients unable to undergo autologous blood processing and previously ineffectively treated with expensive advanced medications for 8-275 week . Recently, Asadi et al. reported that they used a combination of homologous platelet-rich plasma, fibrin glue and collagen matrix topically for the treatment of life-threatening wounds. Following treatment, the wound was completely closed in nine patients and was markedly reduced in the other patient. There was no evidence of local or systemic complications or any abnormal tissue formation, keloid or hypertrophic scarring . In 2016, Bottegoni et al. reported the use of homologous platelet-rich plasma for the treatment of knee osteoarthritis in selected elderly patients in an uncontrolled, pilot study . They also impressed that it could be used safely for the treatment of knee involvement in primary Jorgen’s syndrome . However, to the best of our knowledge, injection of homologous PRP for tendon, muscle and ligament injuries has not been reported previously. This study showed that, homologous PRP could also be used safely and has positive effects to solve pain problems for the musculoskeletal system. In our clinic, we prefer using homologous PRP in suitable cases. As we know, in the autologous PRP treatment, the physician and the patient needed to wait for the preparation of the PRP from the patient's own blood. However, H-PRP could be easily obtained from the blood centers becomes a very practical method. We know that all donated blood is carefully tested for transfusion-transmissible infections [TTIs], including HIV, hepatitis B, hepatitis C, and syphilis. Thus, the H-PRP, as other blood transfusions, has achieved a high degree of safety concerning the transmission of viral diseases. Of course, all patients' consents were taken ethically and the procedure was only applied to these patients who are informed about this risks. We did not see any adverse effects of like other applications of homologous PRP such as intravenous infusion for thrombocytopenia treatment. In addition, because of having such positive results we supposed that there is a possibility that the content of homologous PRP might have richer growth factors since the homologous PRP is usually obtained from the bloods of young healthy volunteers under the age of 40 in our country. However, of course, it is just a hypothesis and we cannot ignore that we need more comprehensive studies to prove whether that is true or not. Despite the high number of patients evaluated, the absence of a control group, lack of testing of H-PRP samples to confirm contents and standardization are limiting factors in this study. In this study, we wanted to announce that the homolog PRP application could also be done to treat the patients of tendon, muscle and ligament injuries and degenerative joint disorders. Sampson S, Gerhardt M, Mandelbaum B (2008) Platelet rich plasma injection grafts for musculoskeletal injuries: a review. Curr Rev Musculoskeletal Med 1: 165-74. Andia I, Maffulli N (2013) Platelet-rich plasma for managing pain and inflammation in osteoarthritis. Nat Rev Rheumatol 9: 721-30. Hosgood G (1993) Wound healing. The role of platelet-derived growth factor and transforming growth factor beta. Vet Surg 22: 490-5. Bennett SP, Griffiths GD, Schor AM, Leese GP, Schor SL (2003) Growth factors in the treatment of diabetic foot ulcers. Br J Surg 90: 133. Lacci KM, Dardik A (2010) Platelet-rich plasma: support for its use in wound healing. Yale J Biol Med 83: 1-9. Epply BL, Pietrzak WS, Blanton M (2006) Platelet-rich plasma. 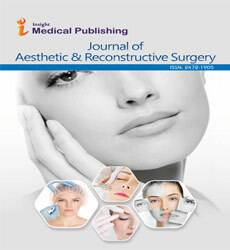 A review of biology and applications in plastic surgery. Plast Reconstr Surg 118: 147-159. Menitove JE, Snyder EL (1998) Platelet transfusion practice: time for renewed consensus. Transfusion 38: 707-9. British Committee for Standards in Haematology (2003) Blood Transfusion Task Force. Guidelines for the use of platelet transfusions. Br J Haematol 122: 10-23. Ciccone MM, Notarnicola A, Scicchitano P, Sassara M, Carbonara, et al. (2012) Shockwave therapy in patients with peripheral artery disease. Adv Ther. 29: 698-707. Hammond JW, Hinton RY, Curl LA, Muriel JM, Lovering RM (2009) Use of autologous platelet-rich plasma to treat muscle strain injuries. Am J Sport Med 37: 1135-42. Peerbooms JC (2010) Positive effect of an autologous platelet concentrate in lateral epicondylitis in a double blind randomized controlled trial. Platelet-rich plasma versus corticosteroid injection with 1 year follow up. Amer J Sp Med 38: 255-262. Wright-Carpenter T, Klein P, Schäferhoff P, Appell HJ, Mir LM, et al. (2004) Treatment of muscle injuries by local administration of autologous conditioned serum: a pilot study on sportsmen with muscle strains. Int J Sports Med 25: 589-594. Sampson S, Reed M, Silvers H, Meng M, Mandelbaum B (2010) Injection of platelet-rich plasma in patients with primary and secondary knee osteoarthritis: A pilot study. Am J Phys Med Rehabil 89: 961-969. Filardo G, Kon E, Di Martino A, Di Matteo B, Merli ML, et al. (2012) Platelet-rich plasma vs hyaluronic acid to treat knee degenerative pathology: study design and preliminary results of a randomized controlled trial. BMC Musculoskelet Disord 13: 229. Kon E, Buda R, Filardo G, Di Martino A, Timoncini A, et al. (2010) Platelet-rich plasma: intra-articular knee injections produced favorable results on degenerative cartilage lesions. Knee Surg Sports Traumatol Arthrosc 18: 472-479. Hancı M, Karamese M, Tosun Z, Aktan TM, Duman S, et al. (2015) Intra-articular platelet-rich plasma injection for the treatment of temporomandibular disorders and a comparison with arthrocentesis. J Craniomaxillofac Surg 43: 162-6. Crovetti G, Martinelli G, Issi M, Barone M, Guizzardi M, et al. (2004) Platelet gel for healing cutaneous chronic wounds. Transfus Apher Sci 30: 145-51. Ficarelli E, Bernuzzi G, Tognetti E, Bussolati O, Zucchi A, et al. (2008) Treatment of chronic venous leg ulcers by platelet gel. Dermatol Ther 21: 13-7. Greppi N, Mazzucco L, Galetti G, Bona F, Petrillo E, et al. (2011) Treatment of recalcitrant ulcers with allogeneic platelet gel from pooled platelets in aged hypomobile patients. Biologicals 39: 73-80. Asadi M, Alamdari DH, Rahimi HR, Aliakbarian M, Jangjoo A, et al. (2014) Treatment of life-threatening wounds with a combination of allogenic platelet-rich plasma, fibrin glue and collagen matrix, and a literature review. Exp Ther Med 8: 423-429. Bottegoni C, Dei Giudici L, Salvemini S, Chiurazzi E, Bencivenga R, et al. (2016) Homologous platelet-rich plasma for the treatment of knee osteoarthritis in selected elderly patients: an open-label, uncontrolled, pilot study. Ther Adv Musculoskelet Dis 8: 35-41. Bottegoni C, Farinelli L, Aquili A, Chiurazzi E, Gigante A (2016) Homologous platelet-rich plasma for the treatment of knee involvement in primary Jorgen’s syndrome. J Biol Regul Homeost Agents 30: 63-67.